Over the past decade, companies in the S&P 500 Index have wasted $4 trillion buying back their own stock. That is on top of about $3.9 trillion spent on dividends. 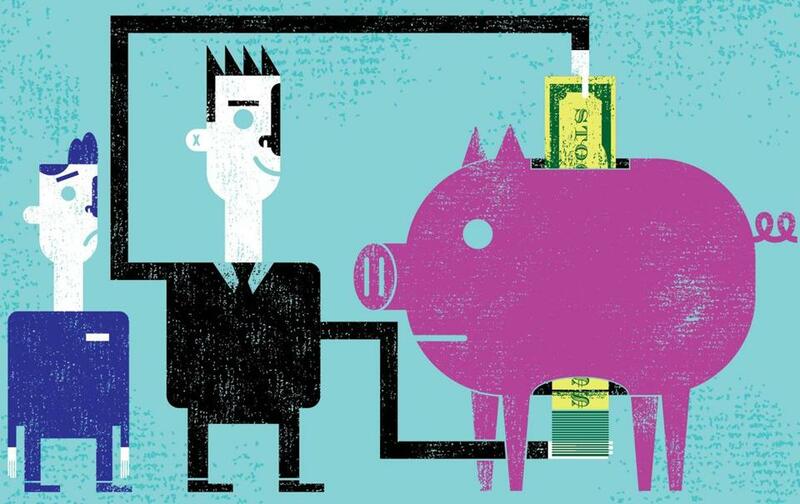 Many companies routinely distribute more than 100 percent of net income to shareholders. Little if any corporate earnings are available for rewarding employees for their contributions to the company’s profitable products and for reinvestment in the company’s productive capabilities. The stock buyback practice must end. The sole purpose of most stock buybacks is to manipulate the company’s stock price. Up to the early 1980s, before the buyback binge began, executives, economists, and regulators worried that high dividends alone might leave insufficient retained earnings for reinvestment in the firm. With the rise of the ideology that companies should be run to “maximize shareholder value,” however, that concern went by the board. Corporate executives, incentivized by stock-based pay that can be as much as 90 percent of total compensation, began to compete with one another to see whose company could get the most manipulative bang out of the buyback buck. Dividends and buybacks are very different types of distributions to shareholders. Dividends provide shareholders with a stream of income in return for holding the company’s stock. In contrast, buybacks reward shareholders for becoming sharesellers. The main beneficiaries of buybacks are those sharesellers who can time the buying and selling of shares to capture the manipulated price boosts. Given that the public does not know the days on which a company is actually doing buybacks, the traders best positioned to take advantage of the buyback boosts are top executives who are privy to this information and professionals in hedge funds and investment banks whose business it is to get such information, time their trades, and reap the gains. Stock buybacks bear major responsibility not only for the extreme concentration of income among the richest households but also for the erosion of middle-class employment opportunities. Most American households depend on employment with a business corporation. An employee earns an income that supports a middle-class living standard when, in return for supplying skill and effort, he or she gets stable employment and an equitable share in the company’s productivity gains. When most or all of these gains flow out of the business corporation to shareholders, middle-class employment opportunities disappear. But don’t profits belong to shareholders? Only according to an ideology that defies common sense. People who buy corporate shares already on the market do not invest in the company’s value-creating capabilities. The value-creators are those who supply money and effort to sustain and augment the company’s capabilities to generate the competitive products that enable the company to survive and, hopefully, thrive. Public shareholders are merely portfolio investors, seeking a yield on productive investments that have already been made. Corporate greed must end, and we must make our economy work again for working families. But doesn’t the cash that is disgorged to do buybacks get reinvested in new productive investments? The evidence is that the stock market has always been far more important for taking money out of the corporate economy than for putting money into it. Indeed, for the decade 2005-2014, net equity issues – new stock issues minus shares withdrawn from the market through buybacks and mergers/acquisitions — in the United States averaged minus $399 billion per year, largely because of buybacks. Corporations fund the stock market, not vice versa. Increasingly, the flow of cash out of companies pumps up the wealth of hedge-fund managers who then have even mightier war chests to go after the cash flow of target corporations. Recently, prominent public figures, including Senators Elizabeth Warren and Tammy Baldwin, and SEC Commissioner Kara Stein, have recognized the damage that buybacks do. In May, the Service Employees International Union made opposition to buybacks central to its fight for a $15 minimum wage with protests against McDonald’s, which has spent $3 billion per year on buybacks over the last decade and is planning to ramp up that amount. 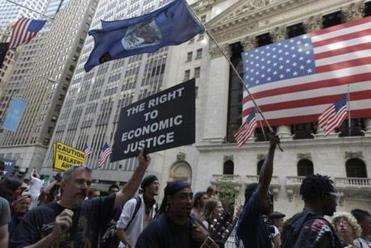 Protesting workers began to see buybacks as the theft of their pay. The demand for no more buybacks needs to be central to the movement to bring back the middle class. William Lazonick is a professor of economics at the University of Massachusetts Lowell.